Many guests have difficulty fitting in all their desires for a trip to Walt Disney World, Disneyland, Universal Studios or Busch Gardens and could use some personal assistance. I’ve included many stock touring plans with your Character Locator subscription, but many need help planning around meals and other reservations. I’m available to help! No one knows these parks and how to tour them like KennythePirate and I’ve planned many successful days for guests for these parks . The plans include as much character, entertainment, ride and dining information as possible as well! You provide me with your dining and Fastpass times or I can book them for you and I create the schedule! I build an initial plan immediately after consulting with you and even update it shortly before you go on vacation to make sure it’s accurate with character and show schedules. If you’re interested in having me create truly custom plans for your trip, complete the short form below. You can also receive this service and more by booking a Disney World package vacation valued at $4000 or more through Mouse Class Travel! This service is currently offered for customers using Mouse Class Travel. I’m not currently creating custom plans otherwise. 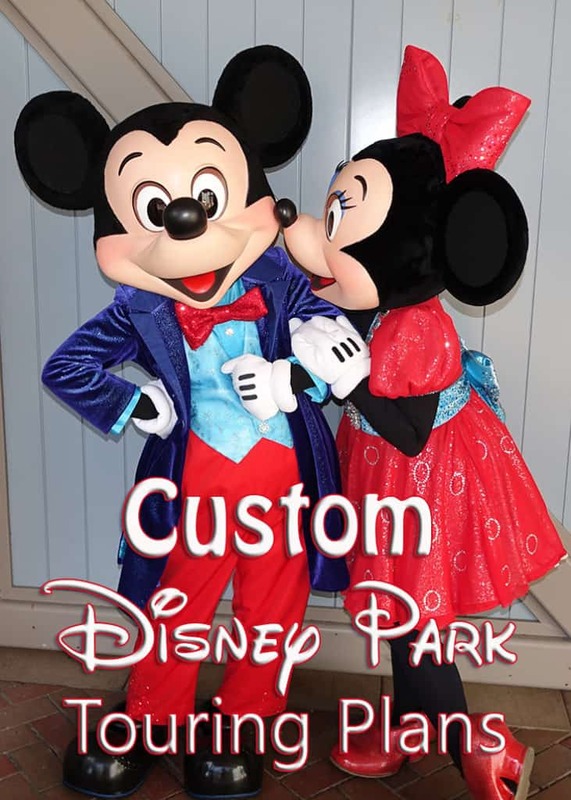 “I have used Personalized and Custom Touring Plans done by Kenny for Disneyland California and Disneyland Paris (by Rob). I’m thinking about getting the custom plans for our next trip. We are wanting to do park hopping and water parks and I’m unsure how to make a touring plan. Is this something you can work into the plans? If you are making the FP+ how early do I need to get you my information? I’d recommend 90 days at least so we can work through the process togehter. Yes I can work with you on park hopping. Do you book the dinning and FP+ with the paid custom plans or do you just tell us what to book and what time? I’ll gladly book fastpass for you. I let the client handle dining. I can work around your meal plans. Hi Kenny! I just became aware of your custom plans, but I have already booked FPP+, some ADRs, etc. Would you be able to work around them? I had submitted the form above about customized plans, but hadn’t heard anything back. Wasn’t sure if it was too late, since my fast pass day is this Saturday. For some reason the submission didn’t go through. I’ll send you an email to get started! I can still create plans for you, we’ll need to be realistic about what you’ll accomplish due to booking FP at the last minute though. I’ve recently subscribed to your character locater and it’s great, so thanks for a the work you do! My daughter and I (5 at time of trip) will be going to Disney world in April 2018- likely thale last 2 weeks. I haven’t been there in 20 years, so it’s like going for the first time. I see the Star Wars races are around the same time. Does that significantly impact crowds at the parks? Also, if I decide to have you customize our plans, how far ahead should I contact you? Thanks!!! If you could give me at least 60 days out, it would help me in getting the best fastpass selections possible. You’ll find the crowd predictions on my November Crowd Calendar, which is also on the Character Locator menu. With your custom plans, do you also help book dining or just give the dining suggestions? Kenny- I am running the 2018 marathon and at first thought it was going to be great, but I see so many confusing crowd calendars and posts by others saying it’s awful stay away. We have three small kids 2nd grade, 1st grade and 2 year old. My husband hates dealing with crowds. Are we still going to be able to see and do a lot of stuff that weekend/week after? Your site seems to be the most helpful so far–lots of secrets and tips. I’d love to know your marathon weekend ideas/tips. Thanks Kenny, will keep in mind, you must be so busy, I hope to manage doing my own plans as I enjoy it, but may consider your custom plans if I am struggling as we will only be visiting once. 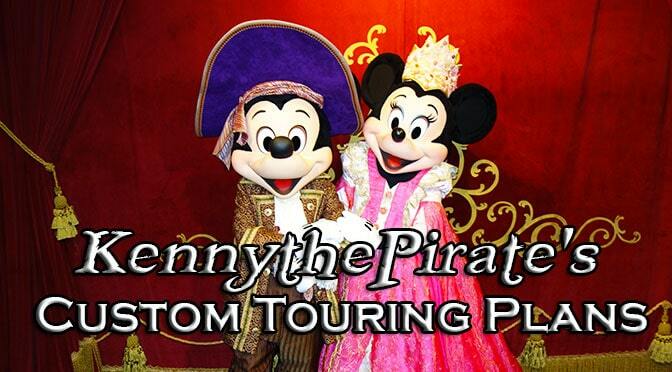 Hi Kenny, when we did Disneyland in 2015 we used (another) website, we hadn’t heard of Kenny the Pirate then (not so well known in Aus)! We did their customisable plans where I ticked everything we wanted to do & added in breaks & it spat out a daily plan for us. It worked so well for us, do your plans work kind of on the same basis? And if I made a plan myself using Character Locator, would it be possible to send the plan to you so you could maybe see where we might need to change things??? Thanks. My plans are designed, so you can easily follow them as they are presented. If there’s something you don’t prefer, just remove it from the list and move to the next. I offer custom plans for $24.95 per day, but don’t do plan reviews as I don’t have that kind of time. You can ask others in the Chat Room on Character Locator or use the KtP Crew for their thoughts, if you wish. You’ll find that you’re not going to wait using my plans. Hi Kenny! I’m going to be using your service for my next Disney trip. I’m looking to go to the Not so scary Halloween party in October of 2018. When do you reccomend I start planning? Most guests find that at least 90 days is helpful so they can learn how everything functions and all the details before scheduling Fastpass and such for regular days. Kenny we are traveling in November and have some meals and fast pass set up. Would you look at them and see if the experience could be maximized? I can maximize any plan for you. Use the contact form and we can discuss it. My family and I are doing a Make A Wish trip to WDW and will arrive on Sept 14-20. What do you recommend? We will be attending Animal Kingdom on the 16 and Magic Kingdom on the 17, staying for the parade and Wishes fireworks… My family has never been to any Disney parks so any help is appreciated! There is mom and dad, 13 yr daughter, 11 yr son(wish kids), 9 yr twin girls, 6 yr son and 2 yr son. Contact me at kennythepirate gmail com if you’d like custom plans or use the feedback form here. I’ve spent several days with Kenny in the parks and he knows his stuff. We did so many attractions we must have set a record. He knows where everything is and can make your trip amazing! Kenny do you also do recommendations on where to stay with your customized plans? Plans include time in parks including characters, shows, rides and dining. I can say places I prefer, but I recommend Mickey travels for the actual booking. Are you still doing this Kenny?